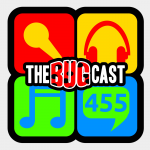 This week on The Bugcast: crap deliveries, crap politics, crap fatalities, and 8 amazing tracks of Creative Commons music! Please leave us feedback on the music or any of the topics that we’ve discussed. The next live show will be episode 456, which will be broadcast live in the chatroom on Friday 7 April 2017 at 21:30-ish UK time (BST/UTC+1). This is Avi Rosenfeld, you’ve played my song “Many Years Ago” on your latest show. Thank you very much, I really appreciate it! I’m sure we’ll be playing some more of your music very soon! !